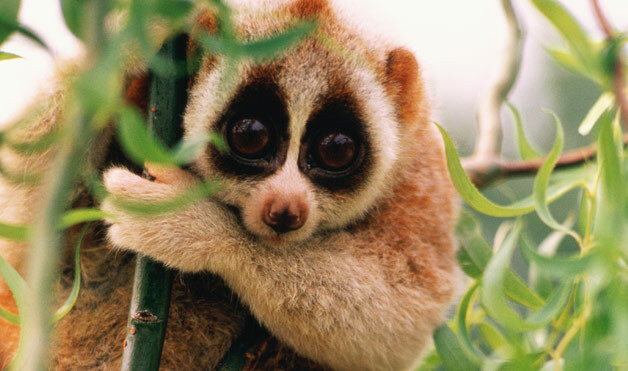 Slow Loris Ethics: Great, Now Even The Smithsonian is Hyping! If we can’t even trust the Smithsonian not to lie to us, what hope is there? “The komodo dragon may be the newest addition to the elite corps of predators that kill with chemistry, but the venomous world is already more diverse than people realize,” it began. The note was illustrated by photos of a duck-billed platypus (owner of a leg spur with a poison gland that gives the thing quite a kick); the Pacific cone snail, which can kill a human; the black mamba, the snake that had a co-starring role as an assassin in “Kill Bill, Part 2,” and…a slow loris??? The little, big-eyed, furry, cute Asian primate is poisonous? That was surprise. The article included no details, just noting that the slow loris was the only “venomous primate.” I managed to pass along this information as fact to my wife and two friends before bedtime (it takes so little to excite me these days! ), and this morning dived into the web to learn the details of the slow loris’s poison. What I discovered was even more shocking than the original note. “Smithsonian” was hyping, and badly at that. To begin with, there is a difference between venomous animals and poisonous ones. “Poisonous” means that the creature injects toxin into its prey, through a sting, a bite, or other means. “Venomous” means that the animal carries some kind of toxin that the prey ingests, absorbs or inhales, occasionally fatally. The Smithsonian article ignores this distinction for sensational purposes, as the title “Pick Your Poison” suggests. It did correctly use “venomous” to describe the slow loris, which is definitely not poisonous. As it turns out, it isn’t really venomous either. According to multiple sources, from Wikipedia to technical articles, the slow loris has a brachial gland by its elbow that secretes a sweat-like substance, and secretes more of it when the loris is agitated or disturbed. The slow loris frequently licks its brachial glands ( as do we all) and uses the sweat to groom its young. The animal also licks it for no good reason. If a slow loris bites a human—it has sharp teeth—the saliva often contains the brachial sweat, and some human are allergic to it. Indeed, some have gone into anaphylactic shock from being exposed to it. That is an allergic reaction, however, not a toxic reaction. Papers compare the slow loris allergen to the allergen found in the saliva of domestic cats, which also have a bite that can send humans into shock. (A good friend of mine recently had to go to the emergency room after her kitty nipped her). If slow lorises are “venomous,” so are tabby cats. (Human bites are no picnic, either.) But they aren’t. Unlike the other deadly or dangerous animals the “Smithsonian” compares to komodo dragons, the slow loris doesn’t carry a toxin for the purpose of paralyzing prey or intimidating predators. It happens to have sweat that humans are allergic to, and humans are neither meals or common threats to the Asian jungle dweller. All of this is interesting, especially to someone like me, who has always been painfully aware of the deficit in his slow loris knowledge, carrying the shameful secret that I have never quite figured out the difference between a loris and a potto. I’m grateful for the enlightenment, but I would have expected it to come from the writers of the national museum’s magazine, not in the process of unraveling their misinformation. The reputation of the slow loris for having a poisonous bite is properly attributed to folklore in the sources not trying to hype the facts, and folklore isn’t science, no matter how good a story it makes. Now I know I can’t trust the Smithsonian, either. Scratch one more institution off the list. I think you have it the wrong way around. “Venomous” means that the organism injects toxins into its prey, through a bite, sting or other means. See http://oxforddictionaries.com/definition/english/venomous?q=venomous. Also, are you sure that slow lorises (slow lorii?) are not poisonous? Maybe the lorises are just spreading misinformation to keep us off guard. I don’t have it any way at all: I’m reporting what the scientists say. As in most fields, terms of art and technical terms do not always match up with general laymen’s definitions. The venomous/poisonous distinction I described appears to be the correct one, zoologically speaking. The proper term is “poisonous snakes.” It appears that the Smithsonian was using common, non-scientific lexicon for its admitted lay readership. That’s fine, but it has an obligation to also explain the possible confusion. Note that in fattymoon’s link, Scientific American calls the slow loris “venomous.” I don’t think that’s right, but by no means does the loris “inject” any toxin. I’m not really disputing the non-poisonous or the non-venomous status of the slow loris, just the definitions of the different terms. I will leave it for you to sift through the potto propaganda and find the truth. I think its those pottos that are spreading it. I think you’ve got it correct, Eric- any biology class I ever took denotes “venom” as needing to be actively administered, via bite or scratch for example, while poisons harm through passive ingestion or respiration- interestingly, not all venoms are poisonous as many can be swallowed with little harm as long as they do not directly enter the bloodstream. 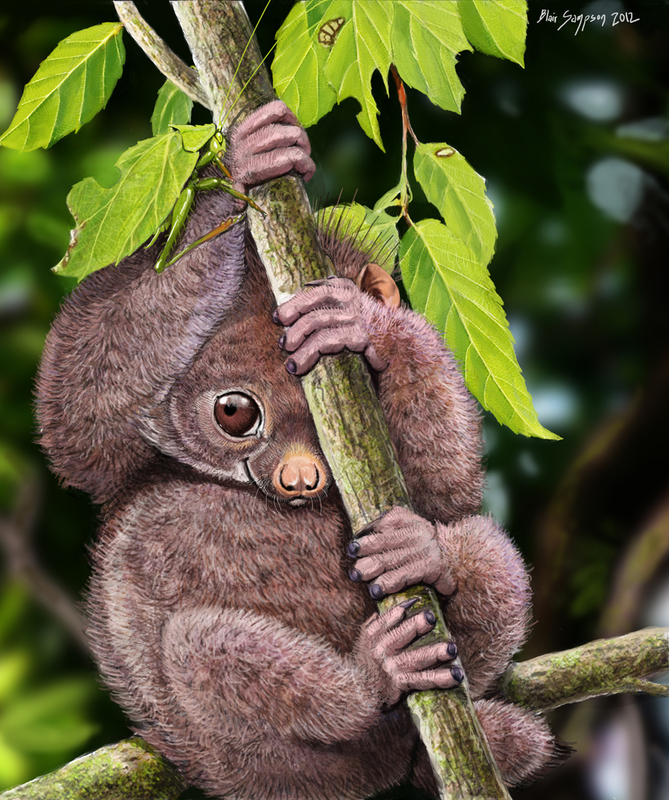 You all can argue all you want… it’s the potto I liked. When my sister was in Liberia in the Peace Corps they “adopted” a potto — called a “softly-softly” there and in other English-speaking African countries — and of course couldn’t confuse it with the Asian slow loris. Jeez, Jack, learn your animals. To be fair, your confusion between slow lorises and pottos is probably excusable, especially since most people don’t know anything about either species and although I knew about pottos, never knew the supposedly horrible slow loris existed. But bottom line: shame on the Smithsonian magazine for slandering the poor (if slow) loris. In fairness, it IS important to know how to avoid venomous potatoes. As a wildlife biologist, I have truly had it up to my ears with all the incorrect biological information floated around the airwaves (and via paper media). Disney screwed up one generation by making people anthropomorphize animals to a ridiculous degree. Now, the plethora of media trying to grab enough public attention to justify a ratings (i.e. commercial sales), has media outlets portraying wildlife in any extreme, ratings-grabbing way they can. I swear, they get information from wikipedia or any old webpage and assume it is the gospel truth. Even watching the Discovery Channel, or Nat Geo — at this point, I must mute the sound (the pictures are often great) and then I narrate for my family. Or we listen to music. Does this mean that my youthful mentality was set at nought by BAMBI, Sue? If so, those Warner Brothers cartoons must have been the Sunday punch. And my curse on Woody Woodpecker! That’s great! Now I can refuse to eat tofu on grounds that it is poisonous (many people are allergic to soy). I can also protect my PRECIOUS stash of honey roasted peanuts with dire sounding warning stickers. I think you may have the descriptions of poisonous and venomous mixed up.